A pervasive myth exists that immigrant’s names were changed upon entering the county at Ellis Island or other American ports of entry because they were hard to pronounce, too long or ethnic. 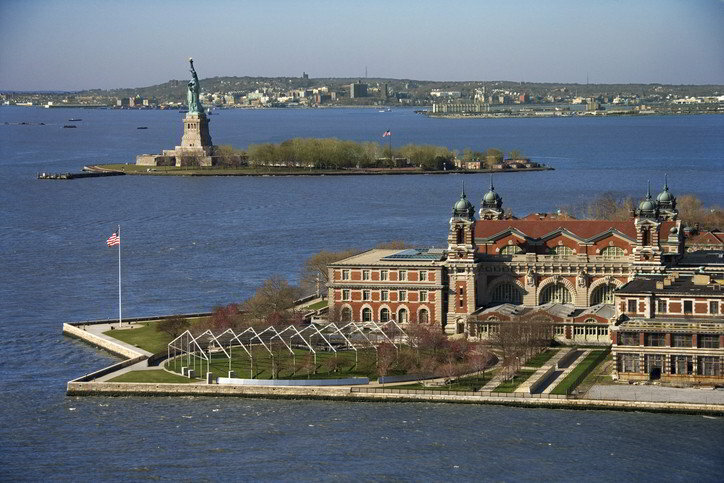 It is readily accepted, in many families’ lore, that names were “Americanized” by Ellis Island port officials. The problem is that there is no evidence in boat or immigration records to prove this happened. It is uncertain how this idea got started, but could be related to how the immigrants were treated upon arrival and how the immigrants themselves recalled these events. In loud, crowded and chaotic rooms, boat passengers were processed by overwhelmed uniformed men. Immigrants were pushed from room to room as they were repeatedly questioned and subjected to physical exams. The process could be very intimidating and overwhelming for the passengers with their entry into the country hanging in the balance. Any passengers deemed unfit to enter the country were shipped back home, often separating one family member from the rest. Immigrants likely viewed, with fear and suspicion, the men in uniform shouting out orders in a language they were yet to grasp. Needless to say, the process was stress inducing for passengers and could have left the impression that something was done by authorities that really did not happen. Each passenger’s name was recorded for the ship’s manifest at their port of origin when their ticket was purchased in Europe. A ticketing agent for the steam ship line would be familiar with the spoken language of the passenger and be able to transcribe their name properly. If any mistake was made with a name, it probably happened here. It is the responsibility of the captain of the ship to maintain an accurate listing of all passengers on his ship. If a passenger purchased a ticket, but did not board the ship, then their name was crossed through in the manifest. After a ship docked at its destination, port officials received manifests with passenger names already filled out. Their job was to match each passenger to the manifest and identify any inconsistencies with the information provided. The port clerk had no authority to change anyone’s names on the manifest and merely made a notation (tick mark, x or check mark) on the manifest to show that a passenger’s answers were checked and they were cleared to proceed. The ship manifest above shows marks made in several columns as information provided by the passenger was verified. This does not mean that mistakes were not made in writing the passenger name down on a ship’s manifest. 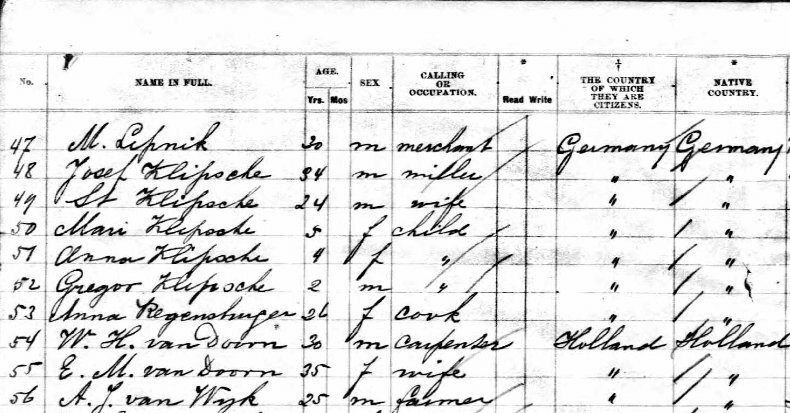 My great grandfather immigrated to the Port of New York in 1883 and his name was misspelled. I can imagine my great grandfather saying his name out loud and the steamship ticketing agent doing his/her best to write the name correctly. If name changes were occurring, then there would be a significant amount of evidence in the records of immigration inspectors. There would also be first-hand accounts of both inspectors and immigrants of such activity. There is no evidence that these name changes were being made. If an immigrant legally changed their name, they initiated the change at a later date for their own reasons. Reports of name changes at an immigrant’s port of entry are simply not true, so don’t believe such stories about Ellis Island or perpetuate them.